Like the actor, his character reminds us that we can get through things—especially when we share some laughs. Dave Johnson might be the nicest guy you'll ever meet, an eternal optimist without a cynical bone in his body. In The Neighborhood, which airs Monday nights at 8/7c on CBS and CBS All Access, Dave is a professional conflict negotiator who recently moved from the Midwest to Los Angeles. It's a perfect fit on screen with Max Greenfield playing the role. The actor also brings a sense of ease and kindness when he walks into a room. Is art imitating life, or is it the other way around? "It's not like, I'm gonna act like Dave Johnson at home. But you know, you're constantly thinking about 'How do I play this?'" reflects Greenfield. "Having to play a guy who's so upbeat all the time has been really nice. I think it's been good for my family and my kids!" "You'll play a character on one of these dramas who's darker and really going through it, and there's a bit of you that holds onto some of that sadness or some of that story that you're playing 'cause you're constantly thinking about it. To have it on the total reverse with this show, where it's just all like, ‘Today's a great day ... Gosh! You know what? I can't wait to see my neighbor today!' It's been really fun." While Dave might be eager to see his neighbor on the show, the feeling isn't always mutual. He's just relocated his white family (including wife Gemma, played by Beth Behrs, and Grover, played by Hank Greenspan) into a historically black neighborhood. 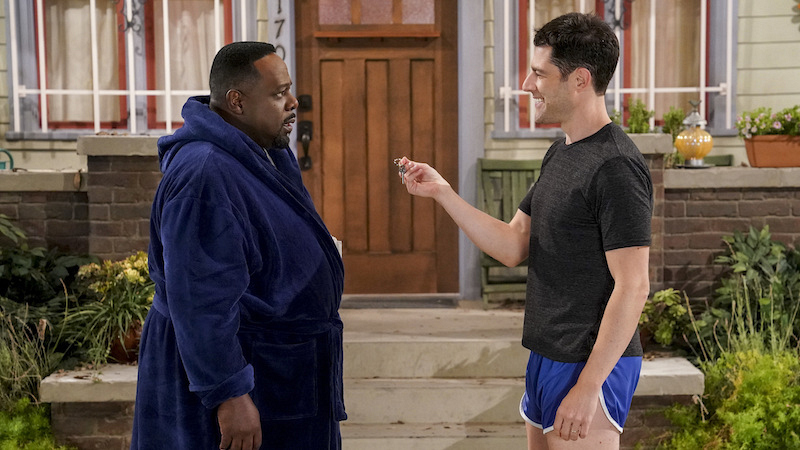 That neighbor is Calvin Butler (Cedric the Entertainer), who isn't exactly thrilled to see his longtime community changing with the Johnsons now next door. 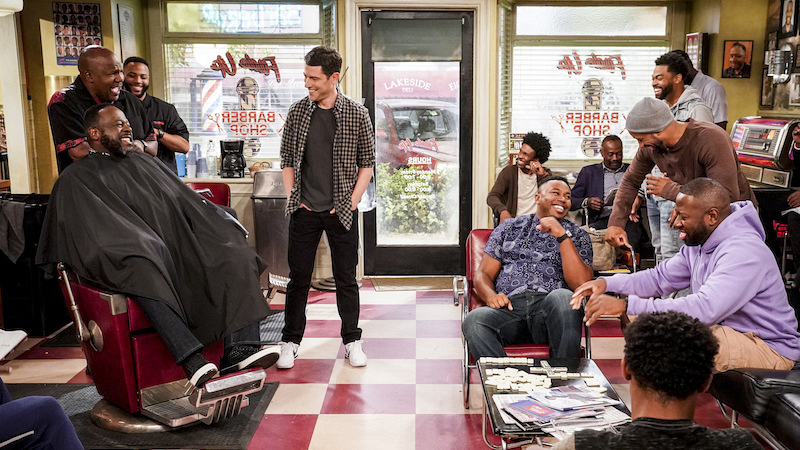 Fortunately, the rest of the Butlers have been a bit more welcoming, including Calvin's wife Tina (Tichina Arnold), sons Malcolm (Sheaun McKinney), and Marty (Marcel Spears). This setup allows the show to tackle important topics and explore cultural differences, but the tone remains easygoing. Greenfield points out that many other TV shows deal with these themes in heavy ways, while The Neighborhood's approach is the antithesis. "We're dealing with real stuff here," says Greenfield. "These are real people who have real issues, and we're not ignoring the real world. But these are real families dealing with real issues in a funny way, and they're getting through it." Like his character, Greenfield is also a transplant to Los Angeles. He grew up in Dobbs Ferry, about 20 minutes outside of New York City, giving him the best of both small suburbia and the big city. "We would walk everywhere when I was a kid," he recalls. "You could walk from one end of the town to the other. It would take a minute, but you would do that almost regularly. If you had a bike, forget about it. It was like The Goonies until we got into high school. Then it was like Dazed And Confused." Unlike Dave, Greenfield never really felt like a fish out of water when he moved out West. Both have gone through the experience of making friends after relocating, but Greenfield has observed that the real challenge has little to do with your physical location. Instead, as you grow up, making friends can feel exhausting—especially once you have kids. "You make these friends where you're like, 'Hey, man. We should maybe hang out,'" he notes. "And then you look at each other, and you're probably like, 'I mean, unless ... without the kids, I can't ...'"
Fortunately, Greenfield discovered that kids can also make it easier. "We have very social children," he says. "So, we're sort of trying to keep up with them. But you know, your community becomes who your kids are in school with and who their friends are and who the parents are. We've been really lucky and have met some really wonderfully like-minded families." 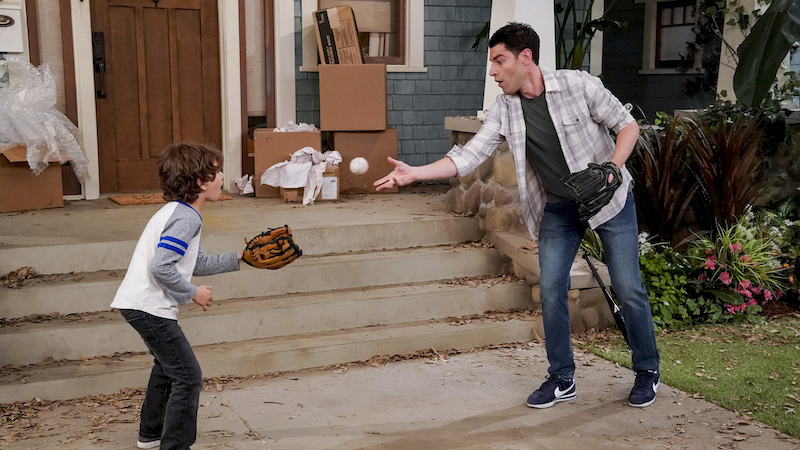 Don't miss Greenfield putting his friendship building skills to work on all new episodes of The Neighborhood on Mondays at 8/7c on CBS and CBS All Access!